Case Western Reserve University received a B.
Washington Monthly's ranking of 9 out of 277 of National Universities - Overall Rank was a major contributor to this grade. "Small classes, world class facilities, and "brilliant" professors are what you'll find at this "sleeper" school in Cleveland. While Case Western is widely known for churning out topflight engineers, the "very studious, serious, diverse, and conservative" students report that the liberal arts programs are excellent as well." Describe the type of student who should not attend Case Western Reserve University and explain why. Describe the type of student who should attend Case Western Reserve University. Why? What is a typical Case Western Reserve University student like? Describe the type of person that should attend Case Western Reserve University. What are the top 3 reasons someone should attend Case Western Reserve University? What was a typical Case Western Reserve University student like in high school? Describe the type of person that should attend Case Western Reserve University. Someone who is committed and passionate for the field of preference. They give it 100% and do what it takes to get to the top. Case students know how to work hard and they know how to play hard. Why should I go to Case Western Reserve University? What were your top five reasons for going there? Has increased investment in the arts, humanities, and social sciences. Case is famous for its top-ranking science and engineering programs. "Case uses a "single door" admissions policy." The workload is rigorous, but professors encourage collaboration, not competition. Case Western Reserve was originally founded in 1826, and our history is as long and storied as our name. What began as two separate institutions -- Case Institute of Technology and Western Reserve College -- federated in 1967 to form Case Western Reserve University, which immediately became one of the country's leading research institutions. With an endowment of more than $1.4 billion, Case Western Reserve supports about 100 designated academic and research centers, and receives nearly $400 million in external research awards each year. Our eight schools and college offer close to 200 top-ranked undergraduate, graduate and professional programs that range from arts, law and humanities to engineering and medicine. Virtually all 2,600+ faculty members hold doctorate or appropriate terminal degrees. They are researchers. They are teachers. They are leaders in their fields. In fact, Case Western Reserve counts 15 Nobel laureates (including the first American scientist to receive the prize) among our current and former faculty and alumni. About 10,000 students -- 40 percent undergraduate -- are enrolled at the university, representing all 50 states and more than 100 countries. But our students are more than just numbers. Case Western Reserve students are the best and the brightest in the nation, featuring Fulbright, Goldwater and National Science Foundation scholars (to name a few) who seek challenges within and beyond the classroom. 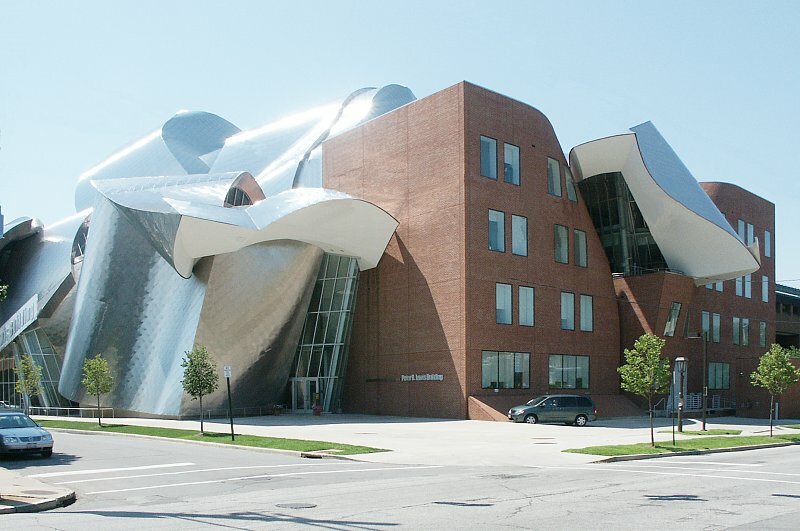 Outside those state-of-the-art classrooms, our unique urban campus bustles across 155 acres in University Circle, a vibrant cultural district just five miles east of downtown Cleveland, Ohio. A cornerstone institution, Case Western Reserve generates a $1 billion impact on the region's economy with innovative technologies, social services and cutting-edge research. What are the top 3 things that students do for fun at Case Western Reserve University? What's your experience with Case Western Reserve University housing like? It has been wonderful. The selection process was very easy. I was fortunate to get a single room. It has been great during quite studying hours. What Case Western Reserve University clubs and student organizations do you recommend? I definitely recommend the Bhangra Dance Team and the Mentor office. What do students do for fun at Case Western Reserve University? All sorts of things. I participate on the Bhangra Dance Team for example. Campus housing is available for undergraduates. Housing deposit due : May 1. Freshman allowed to have car. No pets. 39% of male students live in fraternities. How did you choose your major at Case Western Reserve University? I wanted to do research; with a possibility of working in a commercial world. 94% of students graduated in the top quarter of their class. 74% of students graduated in the top tenth of their class. Total stated tuition is $41,420, in-state and on-campus, before financial aid. Learn more about financial aid at http://financialaid.case.edu/. Estimate the net price for you at http://financialaid.case.edu/npc.aspx. The typical (median) early career salary of Case Western Reserve University graduates is $56,400, according to Payscale. Case Western Reserve University participates in the NCAA Division III for college athletics. Want more info about Case Western Reserve University? Get free advice from education experts and Noodle community members. How does Case Western rank for accounting? Hello there! According to the Weatherhead Ranking, Case Western's Undergraduate Accounting Program is #18 in the country (Businessweek, 2012–U.S. ).